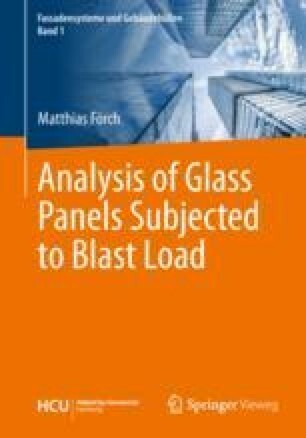 Analysis of glass plates subjected to blast load requires transient solutions, comprising geometrical nonlinear approach in most cases. In general, FEM software is used to analyze such dynamic challenges. This kind of application is time consuming, presuming that appropriate software and knowledge is available at all.